The Lotech sweat is allllmost done! 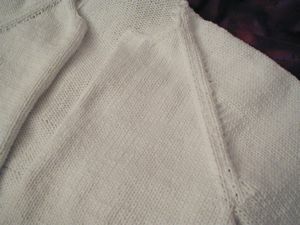 I’ve done up all the raglan seams, and I think I’ll do the sleeve and side seams tonight as well – then I need to do the front bands and the collar. 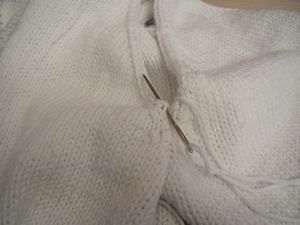 I think I’m going to put in a zipper, and do a simple rolled collar. 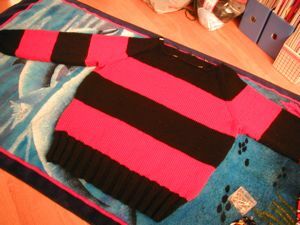 Aaaaand, the red and black sweater is finally done! So now that two projects have been completed (or almost), I’m starting to think of shiny new projects. BUT, then I remind myself that I’ve still got other projects to do! So I’m going to aim to finish those first, before I start anything else. I kind of want to start a tank top or otherwise summery top, but that’s a whole season away – it’s not even spring yet! So I honestly don’t know what I’m going to be knitting next. Possibly a scrappy blue wrap, maybe nothin’ but a shirt…I really do want to use some Calmer for that. 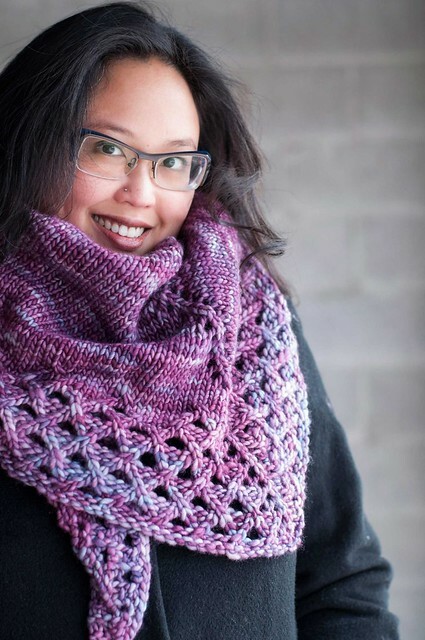 Maybe I ought to hit the 30% off sale at the Yarn Boutique!